142 extremely talented designers from 16 countries took the time to apply to the Design Team call and I want to thank each and every one of you. The level of talent is nothing short of outstanding, and I can't tell you how many times my jaw dropped while looking at your work. You really knocked my socks off and I can tell you this decision is going to be incredibly difficult, but very exciting! Over the last several days, I've had the opportunity to visit and spend time on each of your blogs. I was so inspired by your work and I really had a good time getting to know a little more about you. 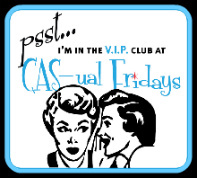 I am touched and honored that so many truly amazing designers want to be part of CAS-ual Fridays. 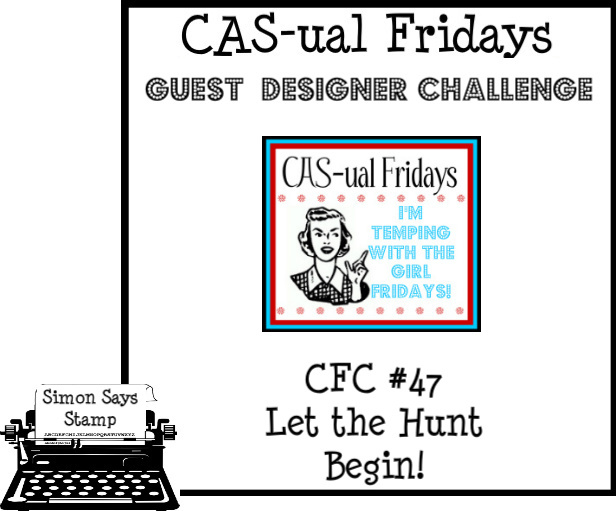 I know you are all eager to find out who will be designing for CAS-ual Fridays beginning in May, and so am I! I am not a fan of sitting on pins and needles, and I want to keep the suspense to a minimum, so I will make my decision this weekend, and send the design team invitations out no later than Monday. Let the email stalking begin! 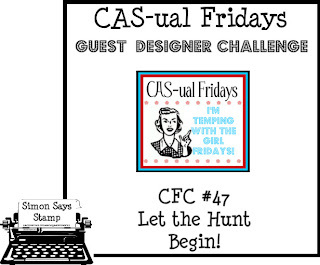 The new CAS-ual Fridays Design Team will be announced at next week's challenge. It's already making me sad to know that I can't have all of you on the team. Trust me, I would love to keep more than just 5 of you! Please know if you don't receive an invitation this time, it doesn't mean I didn't love your work. There will be more DT calls, so I hope you'll continue to play with us each week. but will also earn a guest spot with the Girl Fridays for the May guest challenge! And now its time for our inspiration parade led by our special guest! 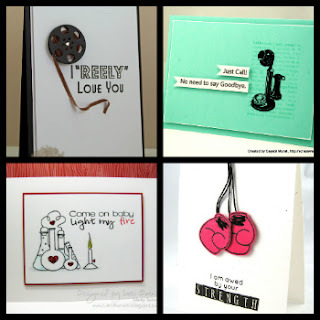 Hi, I’m Karen & I have been cardmaking for about 16 months. My passion is for stamping and ink techniques and I love trying new things! I would say my style is clean and simple but also cutsie as I love cute stamps, especially with animals! 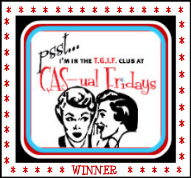 Thankyou so much to the team at Cas-ual Friday for having me as a guest and also to Simon says Stamp for their wonderful prizes and fantastic shop. Congrats to the winner and all the VIPs. Awesome cards! I definitely do NOT envy you having to choose DT members from all this talent! Congrats to Mary. That is one awesome card. And congrats to all the VIPs. Really fab cards. Lovely Easter creations. I especially like Julia and Dana. Awesome cards Ladies! The Red Solo Cup caught my attention while it was in the gallery and I had a good giggle :) Great card Mary! whoo hoo I'm a VIP!!! Thanks for choosing my goofy card this week. 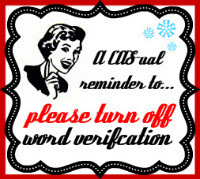 Congrats to all the VIPs-your cards are fab! I had so much fun visiting the gallery for the song challenge-lots of fun ideas and inspiration! Congrats to the winners - it was a great challenge!! Loved seeing all the songs. Congrats ladies and thanks DT for the cute Easter creations!! Congrats to the winners. Lovely creations by the DTs. I love hunting the eggs and that's what I have in my creation...plenty for everyone to hunt...lol. Congratulations winners, such fab CAS designs! What lovely Easter themed projects from the DT this week, way to go girls! Lots of lovely cards! Would it be rude to ask of Mary how she did the red Solo cups?? (a particular stamp or... ) I have a special person in mind for a similar card... Proceed to Party!! Cathy, I can't link to you through blogger so I'll answer you here. I googled solo cup, chose a white one, sized it in PSE, then cut and colored with Copics. Leave it to me...ONCE AGAIN...I forgot the challenge ended on a Wed. LOL!!! Oh well...I still posted this weeks challenge on my blog. http://loribarnett.blogspot.com/2012/04/my-favorite-peeps.html And what a treat to be picked last week for VIP! YIPPEE! !